The day will always arrive when your business needs a phone system or to upgrade the existing PBX to keep up with continued growth. But choosing the right phone system for your business can be a minefield, choosing the wrong one could prove to be a massively costly mistake, not only financially but the credibility of your business could suffer. Fear not, we’ve put together an exhaustive review of the top phone systems currently on the market in the UK. We have produced the ultimate guide to what phone system to buy, what technology you should be looking at and the price you should be looking to pay. What is a small business phone system? First of all, let’s start with what a small business phone system is. An office phone system is designed to allow you and your staff to make, take and transfer phone calls both internally and externally of the company. It connects to the outside telephone network at one location, normally through ISDN or SIP trunking, and then routes the calls as per the programming. Instead of having a number of separate telephone lines or phone numbers that all ring independently a PBX will handle them all, directing them to the correct handset or user on the system. These days, office phone systems have become a lot more than a system to make, take a transfer phone calls. Phone systems can now provide vital information to business owners about how the business is operating. Some features have now become vital to the day to day operation of most businesses, for example, there are very few companies now without the use of voicemail. Mitel Networks is a telecommunications company providing unified communications solutions for business. The company previously produced TDM PBX systems and applications but after a change in ownership in 2001 now focuses almost entirely on Voice-over-IP (VoIP) products. Samsung, a globally recognised company. They have been involved in Telecommunications since 1977. The phone systems have an enviable reputation for being solid, reliable and simple to use. 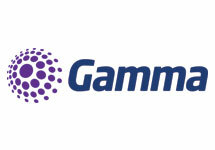 Gamma Telecom, a relatively new entrant into the phone system market with the Gamma Horizon platform. The system has been selling very rapidly over the past 10 years due to its complete flexibility and low cost of entry and ownership. 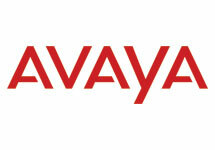 Avaya is an American multinational technology company headquartered in Santa Clara, California that specialises in business communications, specifically unified communications, contact centre, and services. It serves organisations at 220,000 customer locations worldwide. It was ranked No. 113 on Forbes' list of America's largest private companies in 2017. 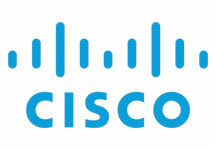 Cisco Systems, Inc. is an American multinational technology conglomerate headquartered in San Jose, California, in the centre of Silicon Valley, that develops, manufactures and sells networking hardware, telecommunications equipment and other high-technology services and products. Through its numerous acquired subsidiaries, such as OpenDNS, WebEx, Jabber and Jasper, Cisco specialises into specific tech markets, such as Internet of Things (IoT), domain security and energy management. Traditional PBX or Hosted Voip system? Whether to go for a Traditional Phone System or a hosted phone system is a big question today. A few years ago, you could only really gain the benefits of a hosted PBX by spending a small fortune on a dedicated leased line in your premises costing thousands per month. The good news is that in the majority of the UK you can now get good enough internet connection over ADSL2+ or over Fibre to the Cabinet (FTTC) connections to be able to gain the benefits of VoIP. A traditional phone system works for those businesses who may need an additional level on top of a virtual phone system. There are pro’s and cons to both a more traditional office telephone system and a VoIP system. Complete flexibility as to your employee’s distribution. With hosted you can have as many handsets or extensions in as many places as you need. Example being having operators in Newcastle working on and presenting the same telephone number as a team in Manchester. You no longer need to have a specific handset device, such as a SIP phone, but could access the system through your smartphone device, a Laptop or office Computer. Basically, any device that can access SIP trunking. With the controller unit of a hosted phone system being in the data centre you have no worries about having to add cards, or buy more licenses. Just add another user to the system. The system is maintained, just not by you, the company who run the hosted phone system will be responsible for keeping everything up to date. This was the biggest cause of people complaining about VoIP in the early days, and why many professionals in the industry would warn businesses away from it. These days you’re one of the unlucky ones not to be able to get the quality of service you would need. This is very uncommon, but is something to bear in mind if you are in certain industries and have regulatory compliance to work to. For example, the majority of Hosted systems at present don’t provide Mifid 11 compliant call recording solutions. Or even PCI compliant call recording. This is a strange one, but sometimes it’s better to have the equipment on site. Having an office phone system on site means if anything goes wrong you can be in full control of getting it fixed. Larger businesses may have a large turnover of staff, in this scenario the ability to change names on handsets, reprogram voicemail boxes etc. becomes very much a pro for a more traditional PBX. The costs are normally much higher than a hosted phone system. Both the upfront costs of buying the equipment and then the ongoing maintenance contracts can cost a significant amount more. With the hardware being located in your office there is a chance that if something happens to the building, someone cuts through the telephone lines, a fire etc. then you will be without one of the most vital tools for your business. What small business phone system is best for you? The best phone system for your business depends completely on your business. You need to have a solution that works for the requirements you have as a business. The best way of finding out what type of system works best for you is to speak with a business telecoms expert. They should be able to help steer you in the right direction. A good Telecoms consult will take the time to understand your business and how it operates, only then will they make recommendations on what system you should go for. It is pretty easy to understand from a top level which type of phone system you should go for, The pro’s and cons sectio will help you understand the benefits. For example, if you are a veterinary business and have a number of vets practises all over the country, then a VoIP system makes complete sense. If on the other hand you are a call centre and have 100 people all dialling out from the same location, you need dialler technology, call recording etc. then you are probably best going for a more traditional PBX. Small business phone system pricing, and what to pay? How long is a piece of string? You could get yourself a Gamma Horizon Hosted extension for as little as £12.50 per month or you could end up with a VoIP provider who charges double that. It all comes down the the solution at the end of the day. You never know, you might even get your voip phones included. A Traditional Phone Mitel MiVoice 250 Value Bundle System would start at a price of £1760+vat, with installation on top it might be around £2250+vat. The best way to find out a price is to speak to a telecoms expert. These days there are a few features of a solid office telephone system that companies just can’t really do without. We’ll list a few below, it’s by no means an exhaustive list but it will give you a good idea of the features you should be looking for in your next PBX. Voicemail on a phone system might sound like a pretty obvious feature, but, believe it or not some businesses don’t understand the true power that a feature rich voicemail system can now provide a business. A number of the systems on the market now provide a unified communications feature set, meaning you could have one voicemail for all the devices you use to access the telecoms network. Use your mobile for calls, your laptop for calls and then have an office phone you use from time to time. It can be a time consuming task to keep checking all the different voicemails to make sure you haven’t missed anything. With a unified communications voicemail system you’ll only need to check one place. Most people wouldn't think about call recording as being a feature of a phone system you can’t do without. We would disagree with that, and more importantly what happens when you have a disagreement with a customer about an order they placed for 500 widgets, when the delivery arrives they only wanted 50. Without call recording you might end up with a large returns cost for this order. Don’t get us wrong, a lot of companies won’t just send out orders without some form of official confirmation but you’d be surprised how much business is done over the telephone. Make sure you look at call recording, not only to protect your business but also to help train your staff to become better at customer service. Again, not a feature that is seen as vital to a phone system. But, a good call logging or reporting software can help you and your business grow efficiently. The average caller won’t wait more than 6 rings. Are your staff answering the phone within this time frame? Are you missing sales calls? Without call reporting you’ll never know. Don’t leave money on the table if you can help it.